The Dragon spacecraft brought back to Earth more than 1,700 kg (a little more than 3,800 lbs) of mixed cargo between the pressurized and the non-pressurized section that include various scientific experiments and biological samples. Part of the samples are contained in the freezers because they need to be kept at low temperatures. 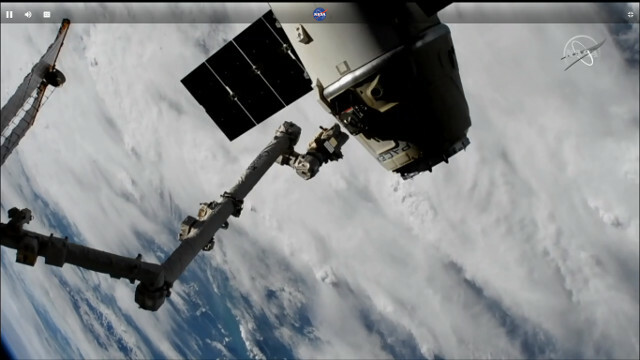 SpaceX is the only American company that has a spacecraft that can bring intact cargo back to Earth so the Dragon missions are really important for NASA. Samples produced during many of the experiments conducted on the International Space Station may require in-depth analyzes possible only in specialized laboratories on Earth. Medical research, other biological research and experiments of other types are conducted on the Station. When they need to bring something back to Earth a little cargo can be transported together with the astronauts on the Soyuz spacecraft but their total volume requires a cargo spacecraft that can bring them back to Earth. The next resupply mission for the Dragon cargo spacecraft could begin as early as March 2019, although launch dates are always approximate, even more now with the American shutdown of federal agencies. For the moment they have to verify that samples and experiments returned to Earth undamaged. The CRS-16 mission was the first to be launched using a Falcon 9 rocket with the new version of the first stage called “Block 5”, designed to optimize its reusability, and for this reason it was mainly discussed for the failure that led the first stage to splash down near the shores. In some ways that’s positive since it means that the real mission was flawless despite the delay due to bad weather in the splash down area. Now the attention is also aimed to the test scheduled for February of the Crew Dragon spacecraft, the first step to reinstate American astronaut transport capability.